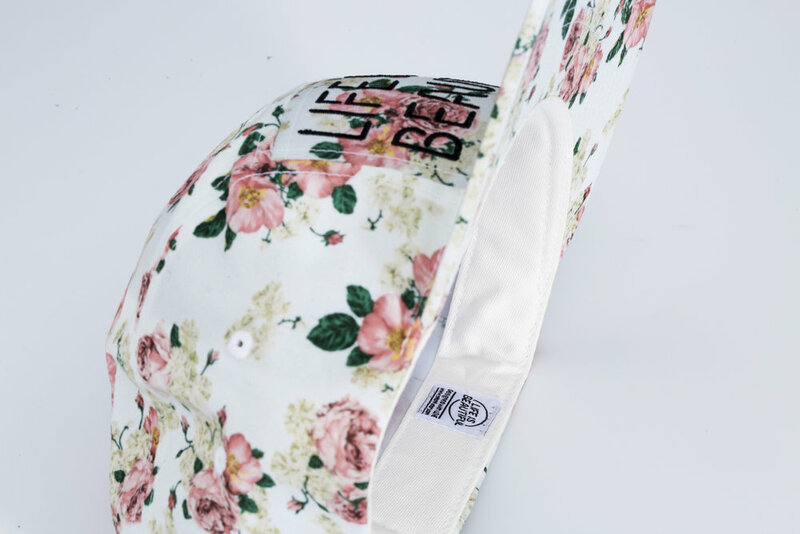 One of the sickest fully sublimated floral patterns we've seen. Built for the wonderful crew over at Life Is Beautiful Music Festival. They CRUSHED with this design!!! CB#0001 // THAT'S WHAT'S UP! WELCOME TO OUR "WHAT'S UP" PAGE. HERE WE BREAK DOWN SOME OF THE CREATIVE HEADWEAR PROJECTS THAT WE HAVE BUILT OR ARE BUILDING. 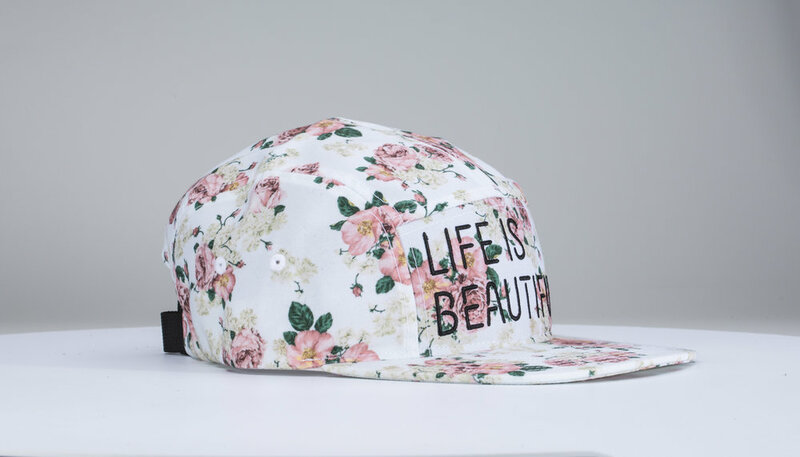 IN A HOPE TO INSPIRE & HELP YOU ON YOUR QUEST TO BUILD YOUR HEADWEAR COLLECTION. IT'S ALL ABOUT THE DETAILS.